You can configure as many points types as you like: Credits, Gems, Coins, etc. When you create a points type you can set up the singular and plural name to be used when GamiPress works with this points type. Also there is a special field named slug. The slug field is used for internal references, as some shortcode attributes, to completely differentiate this points type from any other. 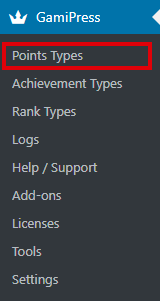 The slug follows the same workflow as WordPress so if you set up an points type like “My Points Type” the slug for this points type should be “my-points-type”. Leave this field blank to let to GamiPress generate one based on the singular name. 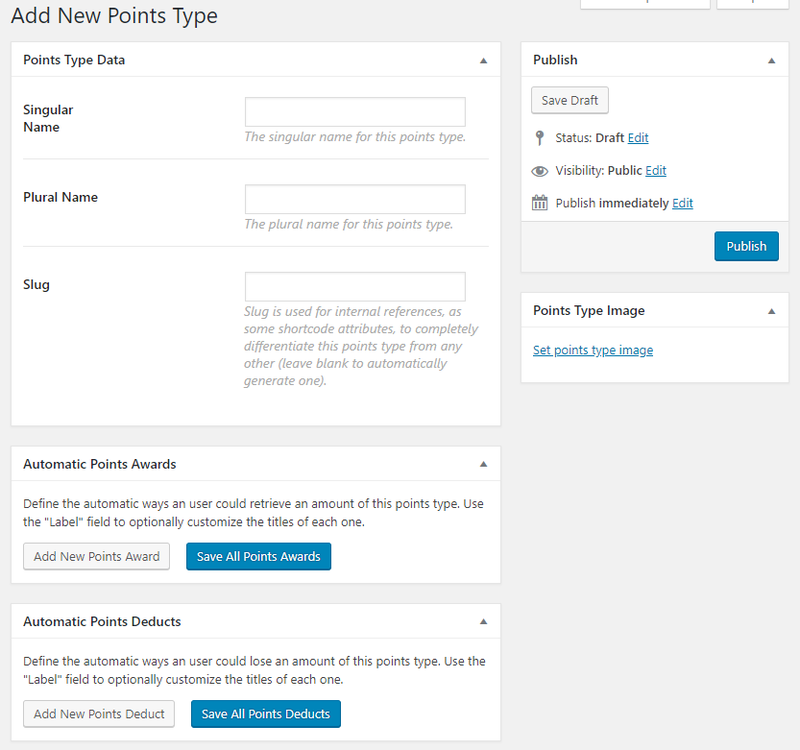 For each points type you defined you can configure an unlimited number of automatic ways an user can retrieve an amount of this points type named Points Awards. Also, you can configure an unlimited number of automatic ways an user can lose an amount of this points type named Points Deducts. For more information about how this points awards and deductions work visit this page.